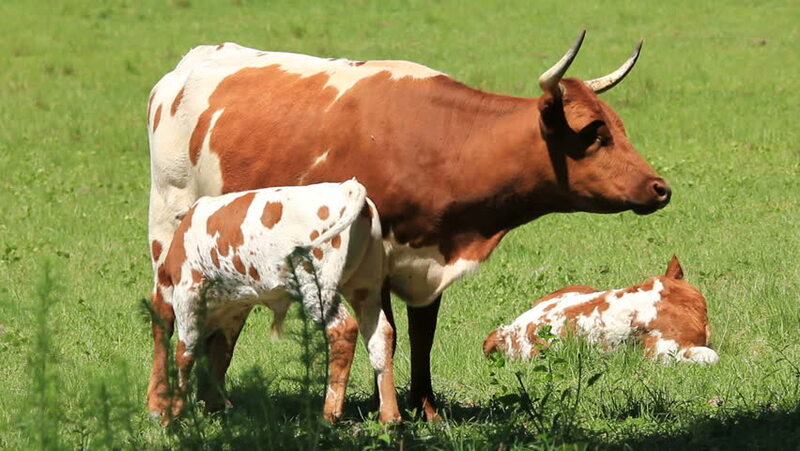 hd00:28Cute little calf cow stands near its mother outside in meadow in highland countryside. Cows and annoying flies on faces. Animals eat fresh green grass at pasture. Real time full hd video footage.